I'm not one to eulogise over stations for the sake of it, or for wearing the rose-tinted spectacles of reminiscences of the 'good-old-days' but this station is a must for anyone interested in GWR architecture or just interested in entering a virtual time capsule. 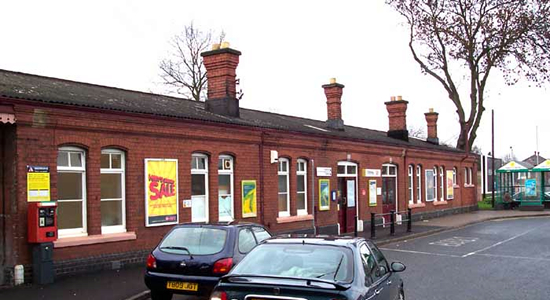 The station was opened by the GWR in 1908 on its North Warwickshire Line which ran from Moor Street to Stratford-upon-Avon (and on to Bristol). 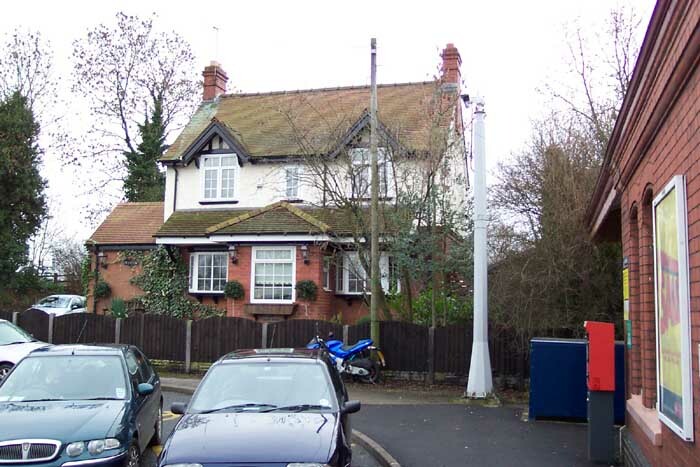 Above we see the station building from the car park off Green Road which is typical of the other large stations on the line (see Henley-in-Arden and Hall Green, for example) and is remarkably intact. 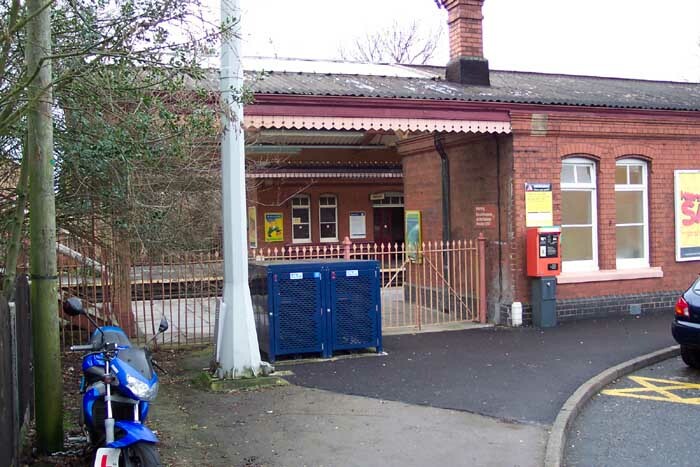 Above-left we see one of the few changes to have been wrought here - the old entrance to the platforms on the left is now locked. 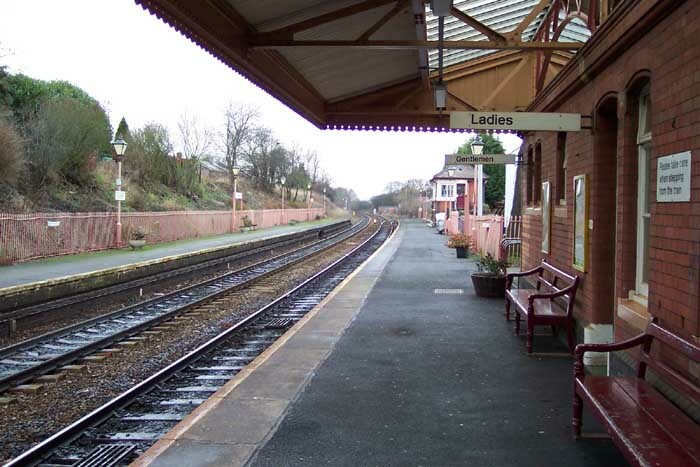 Above-right we see the stationmaster's house overlooking the car park and station building which we can just make out to our extreme right. Above-left we have just entered the Stratford platform and can see the footbridge and beyond it the Haslucks Green Road overbridge. 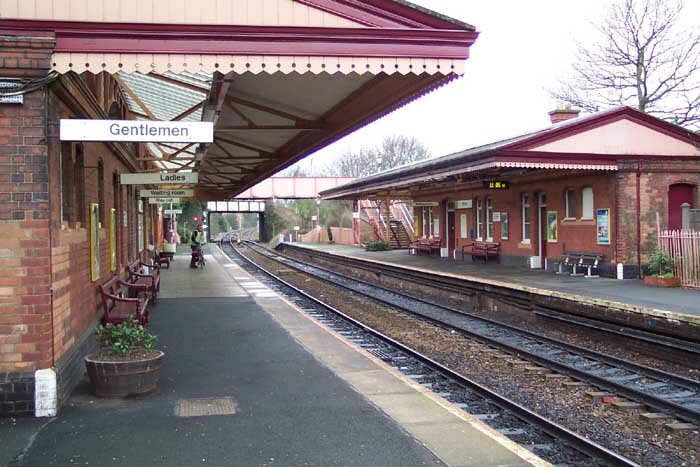 Apart from the station signs nothing appears out of place from when the GWR were runnning the station - not even the use of semaphore signals straight ahead at the end of the platform! 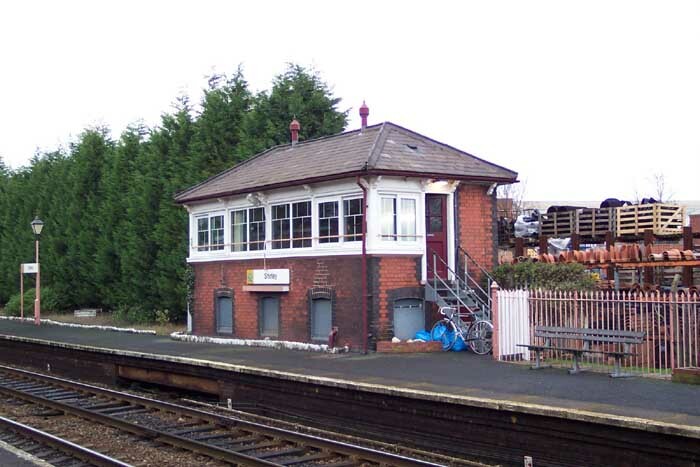 Above-right we are in the same spot but looking towards Birmingham and on the right just past the station building can be discerned a signal box which controls the semaphore signals and a small siding just beyond the station. Above-left is the view of the station from the footbridge looking in the direction of Birmingham - even the chimney piles are in situ. Above-right we are standing in front of the signal box on the Stratford platform looking back at the station towards Stratford. 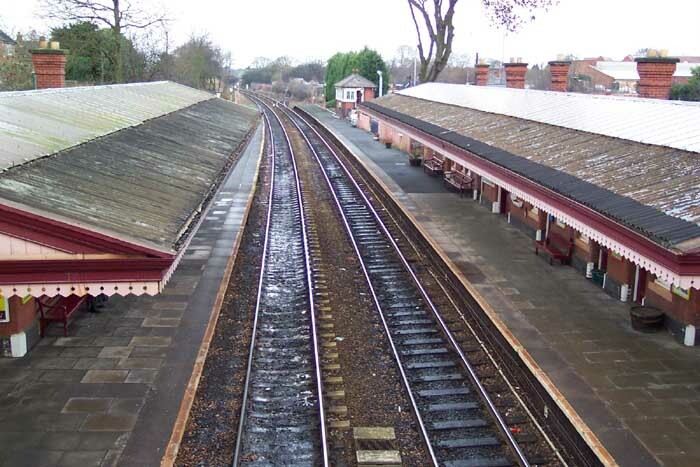 There is a real feeling here that an effort is made to preserve the station's appearance even extending to the placing and upkeep of plant tubs on the platforms. Above-left we are on the Birmingham platform looking across at the signal box which, apart from having upvc double-glazing, looks remarkably in period and in fully functioning order: if you stand by it you can hear the cables at track level clicking when the signals are changed. 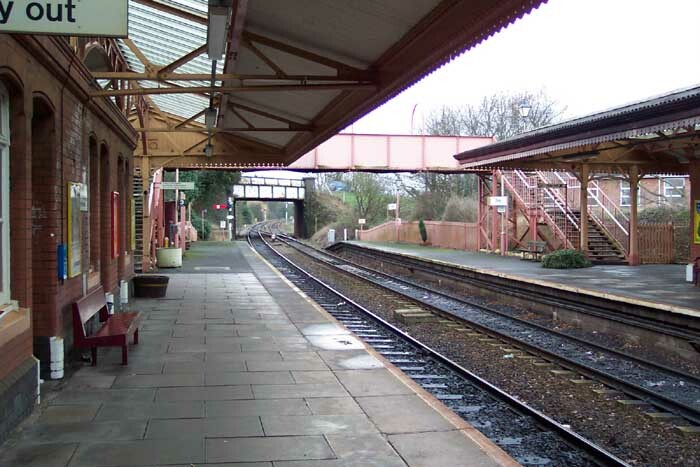 Above-right is the small siding at the end of the Stratford platform also controlled by the signal box. 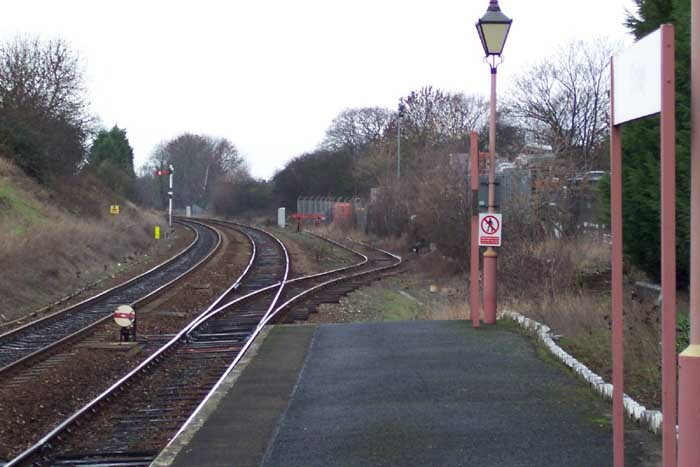 The land to the right which is now a timber yard used to be the goods yard over which the signal box also had control.